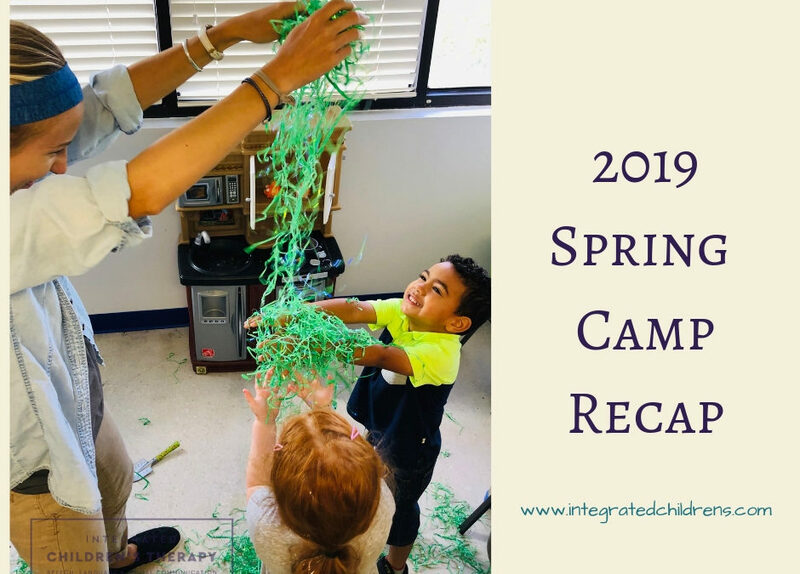 Our 2019 Spring Camp was full of enthusiasm, adventure, and fun! 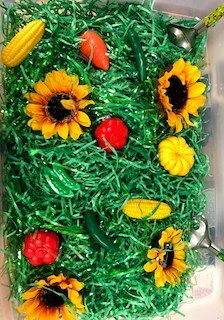 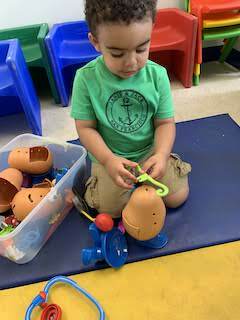 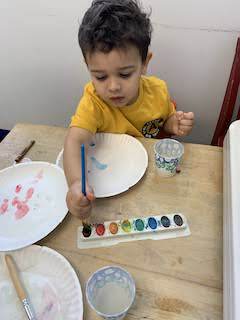 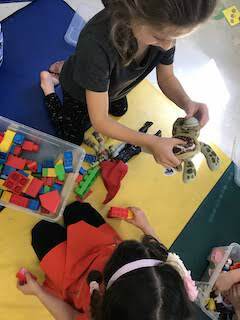 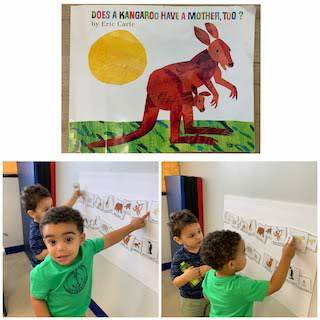 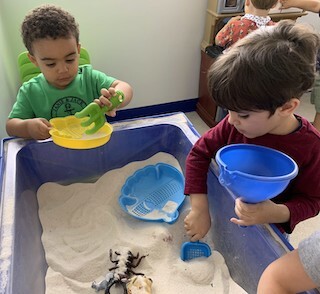 Our “spring” theme was incorporated into activities specifically designed to address a variety of social, language, sensory, and emotional goals. 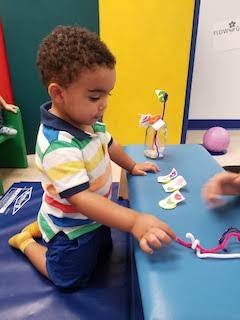 Big thanks to our therapists, staff, and especially our campers for another successful camp! 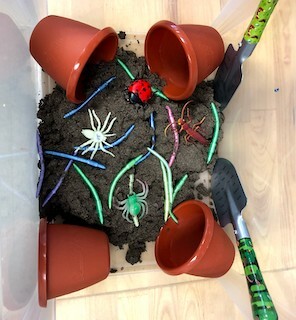 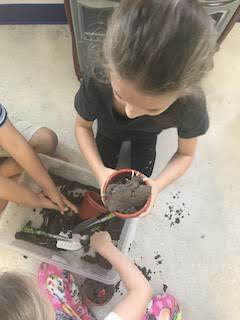 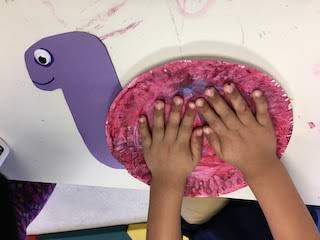 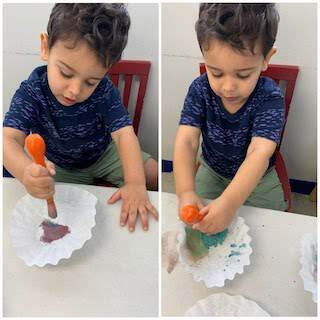 Campers enjoyed lots of sensory play while searching for worms and bugs in a “dirt” – filled sensory bin, and playing in a variety of textures (including “grass,” sand, and shaving cream). 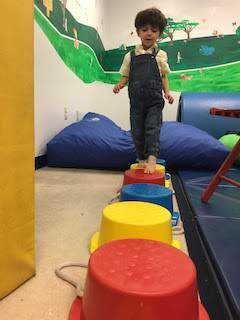 Movement is a great way help campers feel regulated and ready to learn, engage, and play. 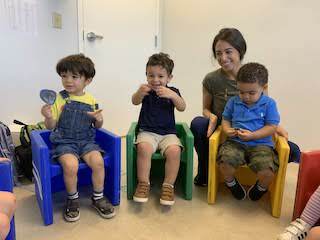 They loved going to therapy gyms for Ms. Kristy and Ms. Sam’s daily imaginative movement activities. 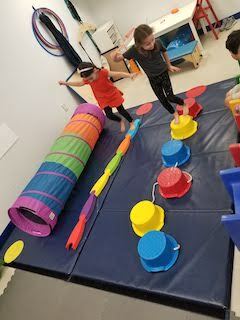 Group obstacle courses targeted sequencing, turn-taking, following directions, cooperation, and gross-motor skills. 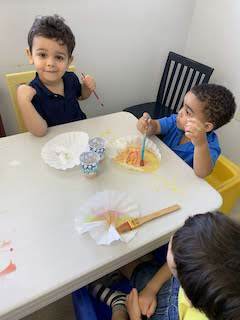 We worked on sequencing, following directions, and fine-motor skills while completing spring-themed crafts (including butterflies, planting seeds in pots and watching them grow, and paper snails). 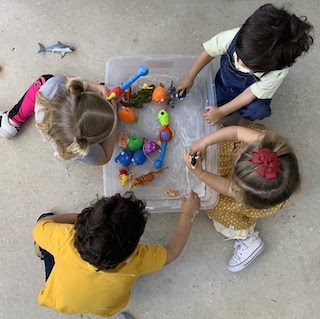 Group pretend play was an opportunity to practice collaborating, turn-taking, waiting, and social communication skills. 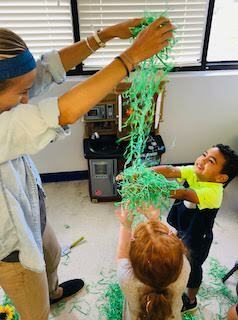 A staple of our camps! 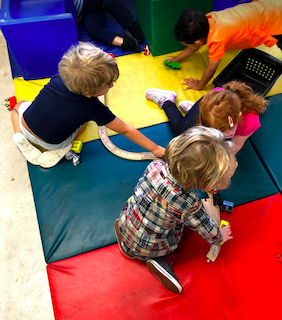 This time provides a structured environment for campers to identify how they are feeling, ask and answer questions with peers, make predictions, wait their turn, and practice social communication skills. 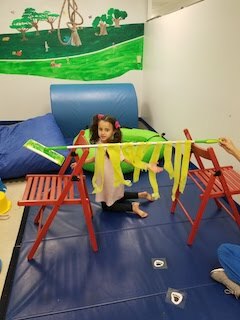 Campers were encouraged to use the “Zones of Regulation” visual to think about how they and their peers were feeling. 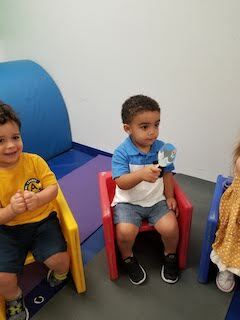 Our littlest campers enjoyed singing circle-time songs including The Hello Song, How’s the Weather, and Baby Shark. 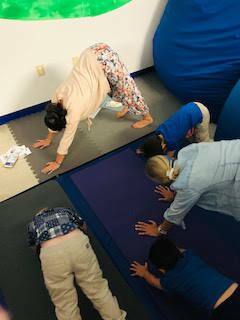 Daily yoga with Ms. Jacki is a camp favorite. 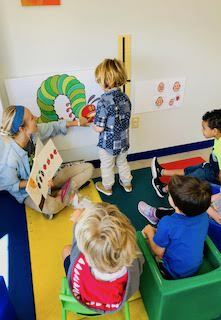 Campers practiced FLOWGA, during which they flowed through spring-themed poses pretending to be butterflies, caterpillars, flowers, frogs, and more. 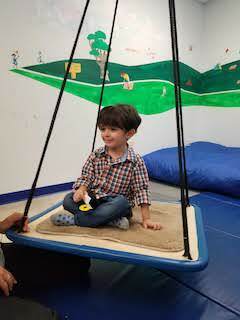 Each class ended with a “relaxation,” helping to calm and regulate minds and bodies. 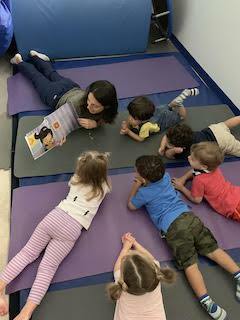 Aside from being fun, yoga classes help children increase body awareness and understanding of calming strategies. 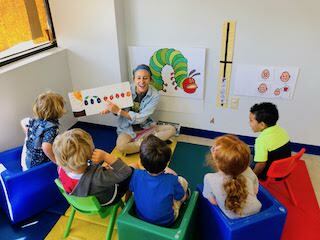 Campers of all ages gathered together at the end of each day to form a big music group with Ms. Alex. 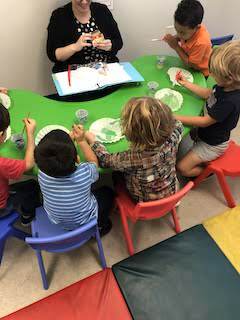 She introduced new instruments throughout the week (flutes and ukulele were crowd favorites!). 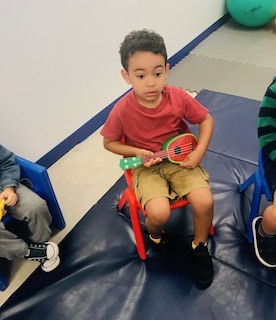 Campers explored how to play each instrument and listened carefully for “stop and go” instructions to the songs. 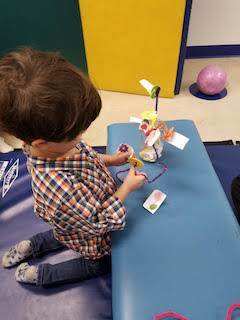 It was a fun way to incorporate dance parties, singing, and imagination. 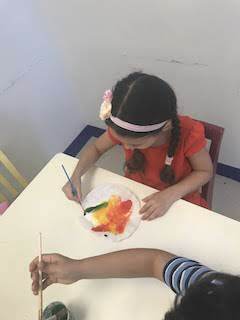 Now it’s time to look forward to Summer Camp!